I'm starting into epic myself. The only thing I'm worried about is the troops. Everything else I recon I can scratch build once I have a point of reference. Sneakers are what Tusculum Nova’s forces have designated these skinnerz special forces troops because they always tend to turn up where they are least expected. Unlike most skinnerz these warriors are rarely seen committed to all out frontal assaults on enemy front line positions but are specialists in long range recon and raiding duties with destruction of enemy rear area installations a common target. Sneakers specialists carry the usual infantry support weapons used by regular skinnerz forces in addition they are commonly equipped with flamethrowers and demolition charges and several member will carry sniper rifles a practice unheard of amongst the skinnerz regulars. These troops are lead by experienced veterans of many missions behind enemy lines. The human gene-mutants known as Skinnerz were an early experiment in creating a genetically modified hardy breed of servile human workers during the initial colonisation of the fifty worlds. Increasing their muscle bulk and bone density had a cost however, as although their intellects remained within normal human range, increased charges of adrenaline lead to heightened aggression and reduced tolerance for following orders. The first worlds were colonised successfully by the Novan peoples with the assistance of Skinnerz workers, but ultimately Novan hegemony was not to last, as a series of violent rebellions by Skinnerz led to the fall of Novan authority on three whole planets, as well as leaving some planets partially contested. Incensed against normal humans due to their hundreds of years of slavery, Skinnerz rebellions gradually changed from actions aimed at the overthrow of their Novan overlords, to the destruction of all Novan peoples across the fifty worlds of Tusculum. Within the realms of the Novan Kingdom, Skinnerz worker usage was phased out, redundant workers being exiled to rebel-held areas in exchange for (typically brief) peace treaties, or simply exterminated in massacres that have become memorialised as war cries amongst surviving Skinnerz. With a history of bloody conflict and entrenched hatred, between Novans and Skinnerz the future seems one of inevitable warfare. 40 x Skinnerz Infantry, 16 x rifles, 16 x melee weapons, 4 x rocket launchers, 4 x heavy machine gun. Skinnerz drop troopers prints are in and i'm really pleased with them. Before anyone asks on an ETA I can give you no solid date as of yet, when I can afford it really. 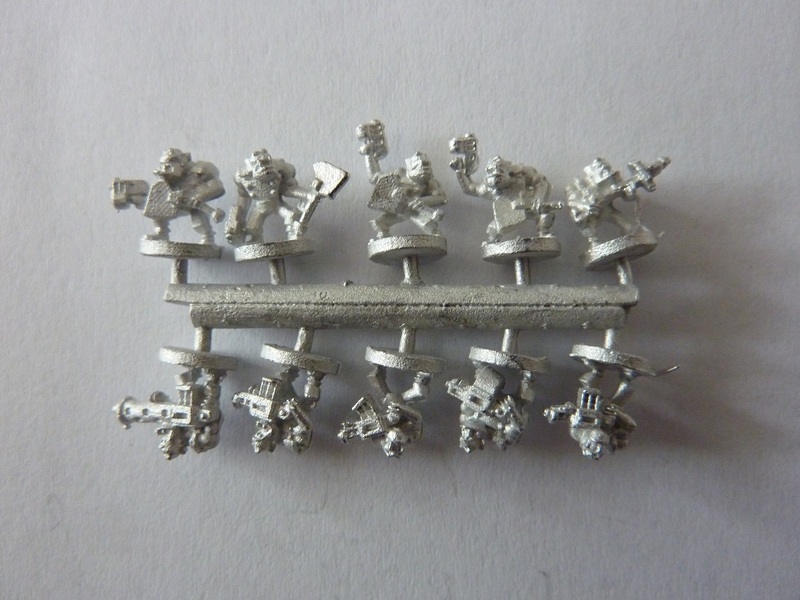 Want to see those 6mm Ork Stormboy proxies I've posted produced? Help us to crowdfund them! Hi backers many thanks to you all for a fantastic show of support so far over 60% funded already great stuff. I've added the stretch goals funding pathway to the campaign page now repeated here for your convenience cheers. 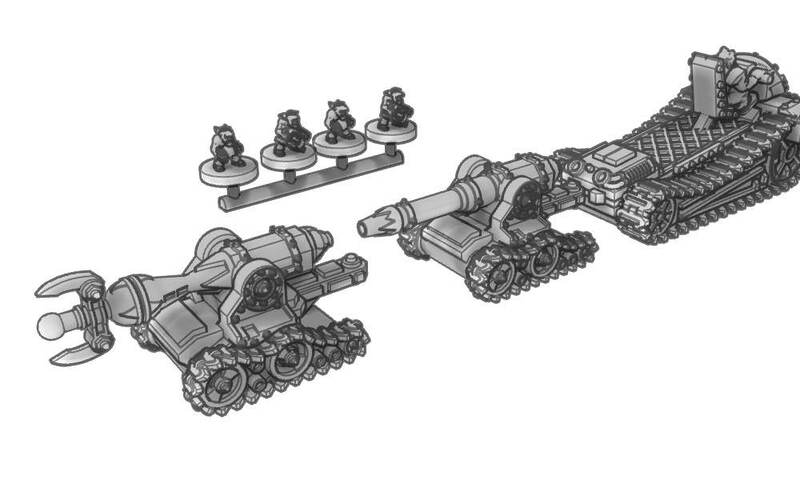 For every £200 you spend we will give you £20 of credit to spend either on further models from this campaign, or models from the Vanguard Miniatures website. 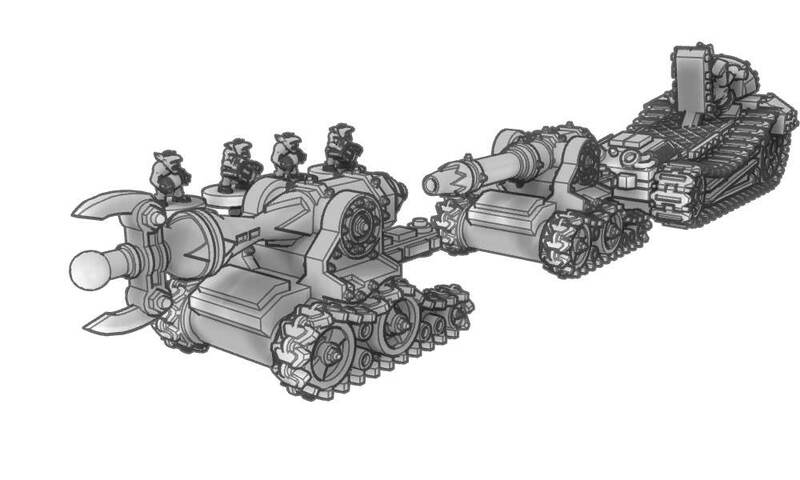 £2700 Tribune heavy tanks (Achilles and Turnus) variants released. 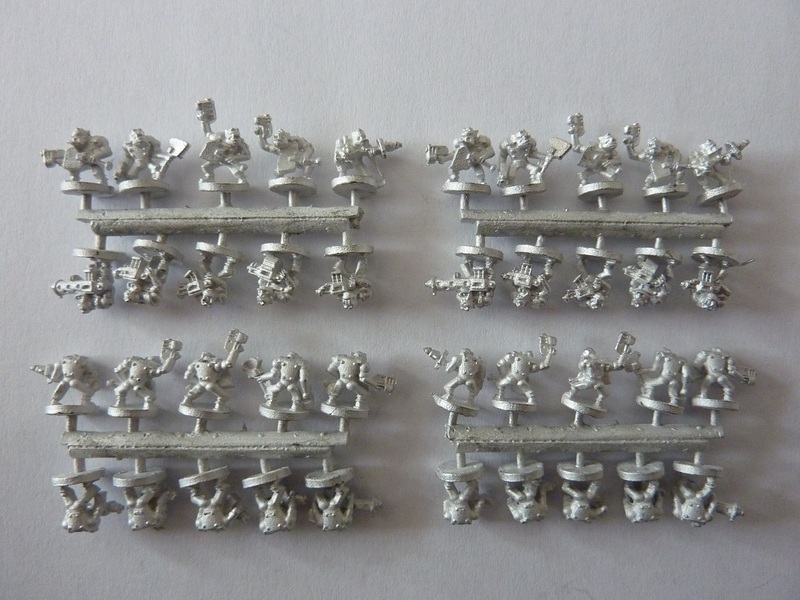 £3000 Novan regulars urban infantry released. £3300 Novan regulars urban infantry specialist set released. £3500 Skinnerz tractor Vector and Elites Gladiator walker Mk2 released. £3700 Female political officers released. 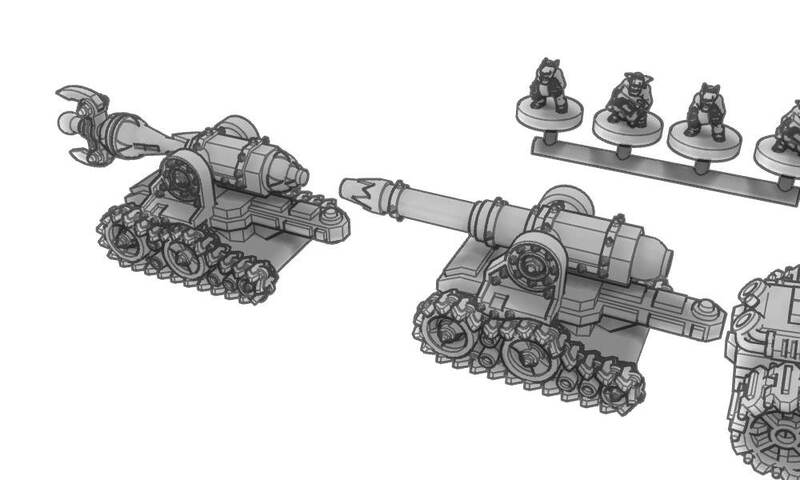 £3900 Tainted Rampager light tank released. £4000+ Further stretch goals will be added. I have now released the latest stretch goal perk this time the Skinnerz Gobblers Light Field Artillery set towed. There is a single and triple set option available. Each Gobblers light artillery set contains, 4 x Tractor Vectors, 4 x Field Pieces (1 of each ) and 20 x Gobblers crew figures (2 sets of 10). Note that there is still some detail work to do on these yet and the rocket model will be a separate item. We've passed the £6000 mark! It has taken a while and much effort from Ben the designer to bring you the latest perk which is now ready for pledges. 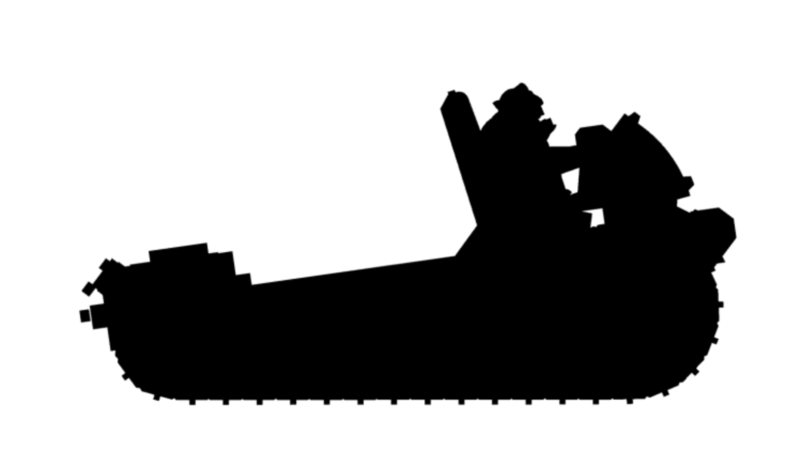 The Skinnerz heavy artillery set consisting of three different towed ordinance pieces to support your Skinnerz army. I must thank you all once again for your continued pledges really appreciated people thank you so much. Should funding allow we hope to create individual limbers for each weapon and if possible a crew set may be added as well. Started by nusphigor , 15 Sep 2017 Orks, Snakebites, Waaagh! First WAAAGH! - Looking for input on a 500 point list.